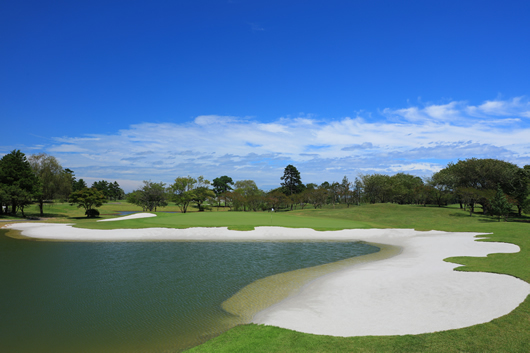 A par-3 signature hole where you can enjoy beautiful scenery, which includes a pond and a beach bunker. 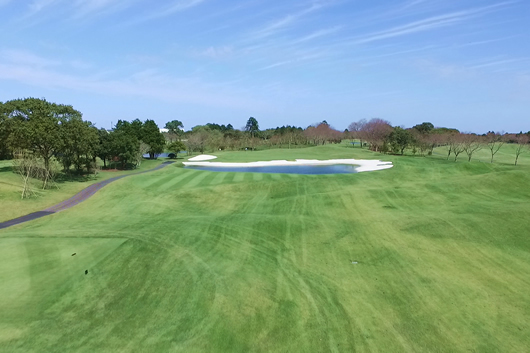 With this hole, your first task is to locate the green. Reading the wind is difficult, so you should select a large club. 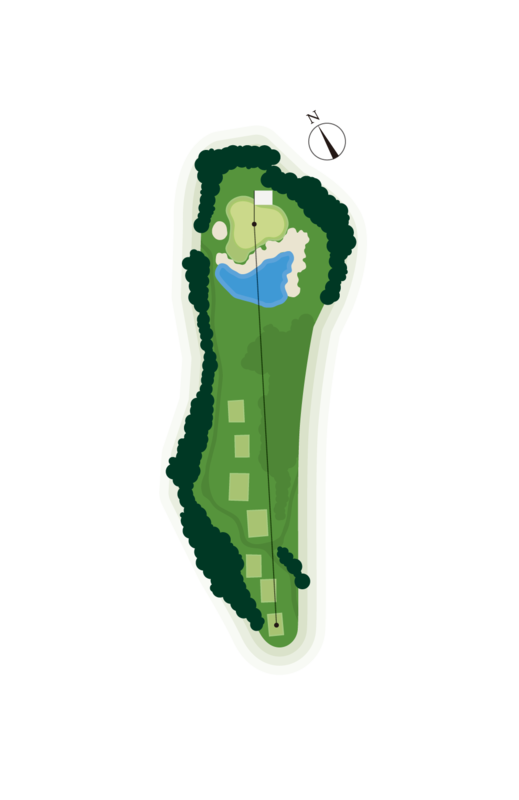 The green has two levels and slopes to the right.